Fantastic detail on this bicycle chopper. New Yorker and AtomicZombie member, Kempracing, has an addiction. But, don’t worry, it’s a good one. He loves to design and build choppers. It doesn’t matter if they’re on two wheels or three. Each one is unique. Kempracing puts a lot of thought and care into his bikes. 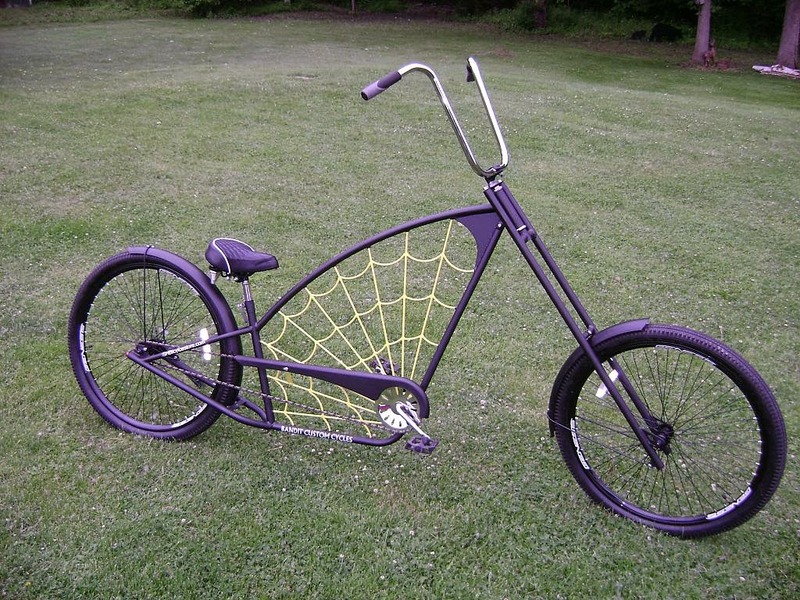 Check out the detailed web design of this chopper. He built and donated this chopper for a raffle at the Howe Caverns Bicycle Show and Swap Meet in New York this past July. A lucky winner pedaled off with this beauty. 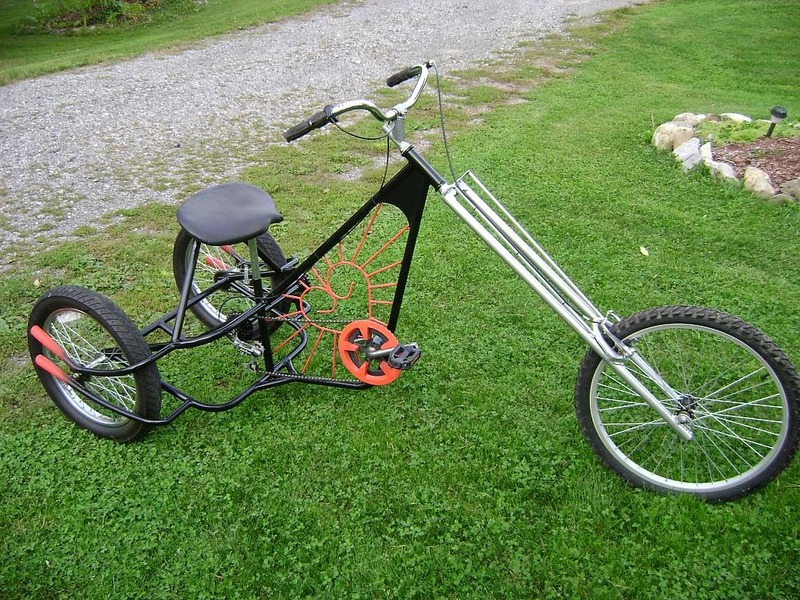 A custom built chopper trike for the Mrs.
And, an embedded star burst heart on the trike he built for his wife, Patty. Awww. See more of kempracing’s custom built choppers. This entry was posted in bicycles, bikes, Blogroll, choppers, cycles, DIY, garage hacker and tagged atomiczombie bike plans, basic welding, chopper bikes, chopper trikes, cycling, handmade bicycles, new york, outdoor adventures, OverKill chopper. Bookmark the permalink.